The idea behind VINTER was to create a unique taste, that fits the cold season and challenges the idea of what to drink during the many festive and cosy times of winter. VINTER is our enfant terrible, as it is distinctively different from the other versions. We embrace the spirit of the Nordic winter, as both scent and taste create an instantly warm and social atmosphere. With the spicy character and velvet feeling on the tongue, it is perfect to be enjoyed with friends and family during the festive times like Christmas lunch, Christmas Eve and NewYears. VINTER is more elegant and lighter in alcohol than other drinks of the season, which makes it an easier and better choice to opt for. While still providing complexity in taste and a festive element to every occasion. Meant to be enjoyed at 5 degrees in a tall champagne glass. At first glance you notice the warm light golden color, glistening with delicate bubbles. In the nose you will sense clear notes of cinnamon, clove, warm spices and ahintof pepper. On the palate you will experience same spicy character as in the nose. Well-balanced with good acidity and light bubbles. Combined with a magical velvet feeling on the tongue. Ending on a sweet note. VINTER can both be used to start and end a meal. Use it as an aperitif, or together with the sweet dessert. Or pair it with the salty kitchen, like oriental spicy dishes or the salty cheese platter. 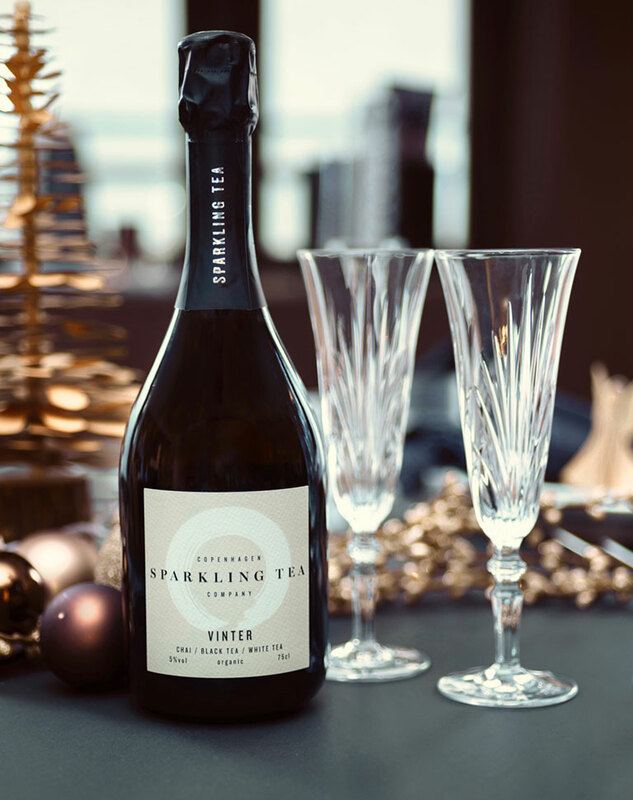 Like every version of Sparkling Tea, VINTER is also the perfect ingredient for cocktails. Once again we’ve gotten the help from Christian Tang, one of Copenhagen’s best and most innovative mixologists, to create 2 perfect cocktails, that will get us through the late hours of winter.